Norwich dropped more points against one of the relegation-threatened teams as they were forced to settle for a 1-1 draw with Wigan on Sunday afternoon. The Canaries fell behind with Reece James converting a controversial penalty, but top scorer, Teemu Pukki salvaged what could be a crucial point. 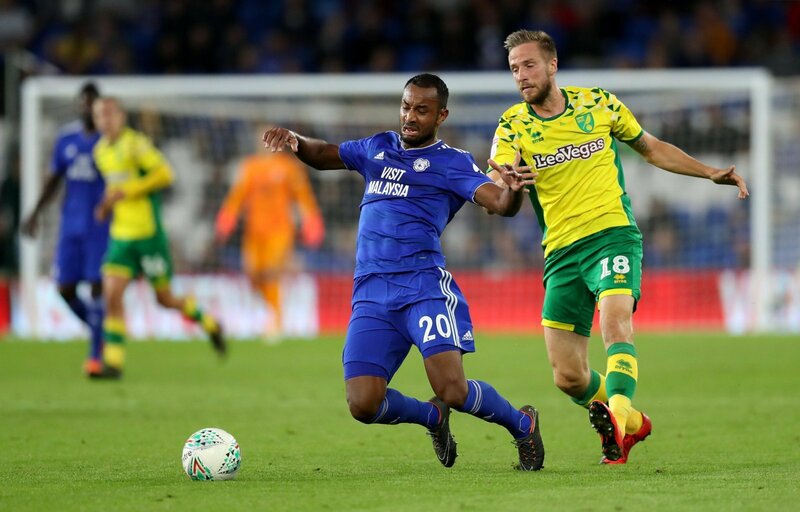 Norwich midfielder, Marco Stiepermann took to Instagram following the draw and praised the travelling Canaries support and is remaining focused on their title challenge. Thanks to all of u for that amazing support today! We go again on Friday! #otbc ???? The result leaves Norwich four points clear of Leeds at the top of the Championship table, where they will now be looking nervously over their shoulders. The Canaries have looked far from their best in their last two games, as they also dropped points against Reading in a frustrating draw in midweek. But it’s likely that we’ll see a positive reaction from Daniel Farke for when Norwich are next in action, when they take on play-off chasing, Sheffield Wednesday on Good Friday in front of the Sky Sports cameras. Farke’s side will need to take three points away from that game, otherwise they could throw away a hefty advantage in their bid to clinch the Championship title. They’re making hard work of winning promotion aren’t they! Norwich looked nailed on to return to the Premier League but they’re stumbling at the worst possible time which will be a concern for supporters. They need to improve quickly, otherwise they can easily drop out of the top two before the season is up.